Fantasy Boat Party delvers the ultimate Party Cruise, steaming through the Mediterranean in style, with the best entertainment. We will be cruising the sun-drenched paradise of Ayia Napa in Cyprus with plenty of wet & wild fun! Get ready for some incredible memories and an experience immortalised in the mind. We are the solution to your party venue dilemma. 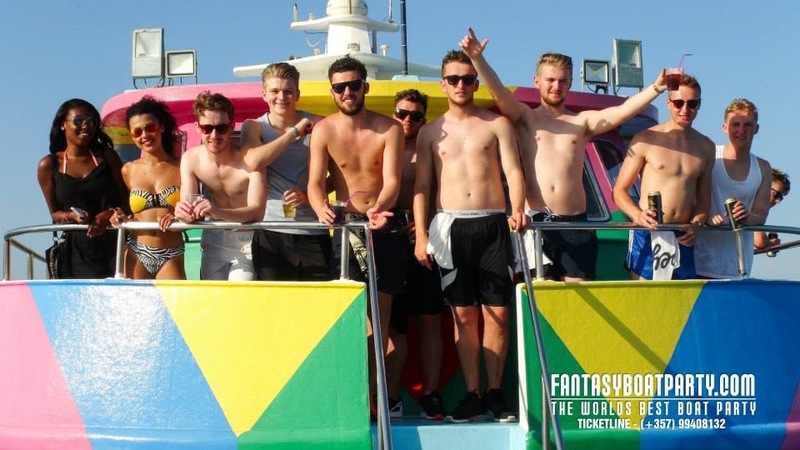 One of the best spots to dance your stress away in Cyprus, Ayia Napa, is on Fantasy Boat Party. Join our multi- National like minded individual looking for a great time! Our cruises will depart from Ayia Napa’s Harbour with the Sunshine Cruise Departing at 12 Midday and the Sunset Cruise Departing at 4pm to cruise the beautiful coastline. This 5-hour cruise will be the most exciting 5 hours you might get to spend in Ayia Napa, leaving you never wanting to step foot on dry land again, Dancing to the biggest tunes in the sunshine, looking out at sea and the beautiful coastline of Ayia Napa. It is an environment impossible to recreate anywhere else! This value- packed, fun- filled boat party can be for Birthdays, Couples, Hen Parties, and Stag Parties, even a crew of friends. 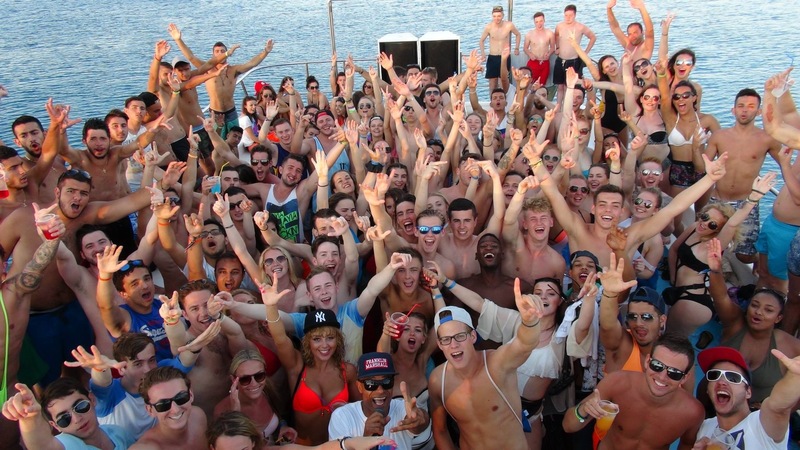 The fantasy Boat Party is a party animal that’s always ready to go! Rest assured this is one party you and your friends will always want to be a part of. Spend the day splashing and revelling in life on the water or relax with the wind in your hair and sun on your face and watch a weeks worth of stress float away. Don’t say you’ve done it all, until you party on the open sea with us. So what are you waiting for? Get on board your number one party head quarters in Ayia Napa for an experience you wont soon forget! As featured on UK Channel 4, Ayia Napa Uncovered and many national press, including The Sun and News of the World, the Fantasy Boat Party is a must for everyone coming to Ayia Napa who are out for a fun and a crazy Party. OLD SKOOL TUNES, DRUM N BASS, OLD SKOOL JUNGLE, REGGAE & BASHMENT. 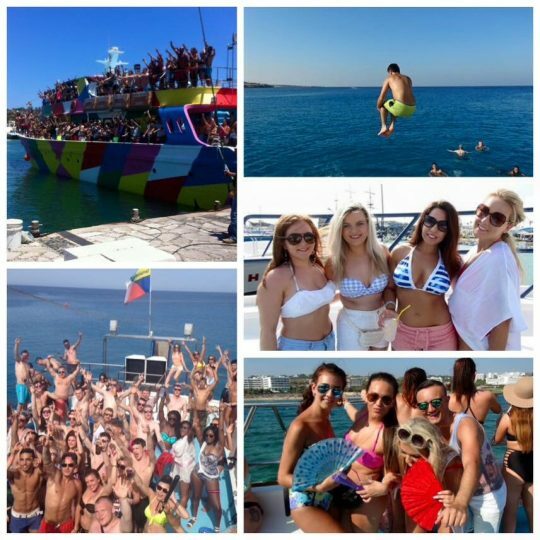 FANTASY BOAT PARTY is an icon in Ayia Napa,operating the world’s best boat party and having done so since 1993. We aim for a music loving multi national crowd each time we sail, with an even guy to girl ratio of party people. The pre party starts at 4pm aboard THE BLACK PEARL PIRATE BOAT in Ayia Napa Harbour. Everybody is fed a ROAST CHICKEN,POTATO and GREEK SALAD MEAL whilst meeting and mingling amongst each other. Captain Jack Sparrow hosts the pre party with the BLACK PEARL PIRATE BOAT STAFF laying tunes for an uplifting mediterranean party atmosphere!!! A GROUP PHOTO is taken at around 5.30 pm of all party goers and is DISTRIBUTED FREE at the end of the evening. Security and Fantasy party hosts then take the crowd to our three level Napa Queen boat!!! The top level is a full on dance floor and bar featuring DJ and MC playing UKG/FUNKY HOUSE/ HIPHOP/ OLD SKOOL HOUSE/ RNB/ DRUMNBASS/ JUNGLE/BASHMENT and BREAKBEATS. The middle level is a larger bar,dance floor and lounge area. The lower level is toilets,showers,cabins and changing areas. MARSHALL DJ’s and Hosts each Boat Party with crowd involvment on party games and watersports. Always considered a highlight,we have THREE swimming stops into the mediterannean during the Boat Party. Look out for MARSHALL’S special GUEST ARTISTS throughout Summer 2016!! Constable Cruise is our onboard party policeman and is Ayia Napa’s most corruptable cop. He has the power to arrest and any party law broken is punishable with free drinks and possible handcuffing to the guy of a girls choice!!!! 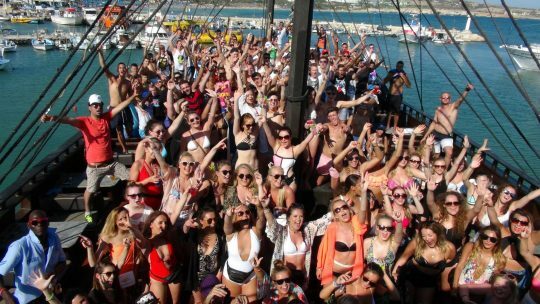 FANTASY BOAT PARTY RETURNS at about 9pm to Ayia Napa Harbour where buses are waiting to take the crowd to the afterparty. Included as an afterparty, FANTASY BOAT PARTY distributes FREE ENTRANCE TICKETS to Ayia Napa’s Biggest Night Clubs to all guests onboard!!! DRESSCODE consists of boardshorts and bikinis,fancy dress,or pirate gear. Or simply your skin!!!! !